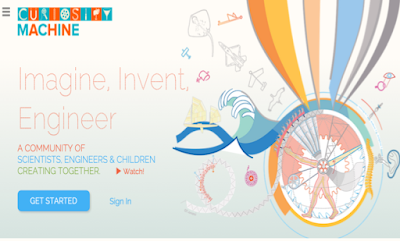 Curiosity Machine is an interesting website that connects scientists and engineers with children inspiring them to be creative inventors. The site provides a wide variety of open-ended engineering design projects that are appropriate for K-12 learners. These challenges are hands-on projects inspired by the cutting-edge work of scientists and engineers. In each challenge, children are presented with a complex problem to solve, and they progress with support from a trained mentor who guides and encourages them to persist through failure and bring their ideas to reality. Most design challenges will take about 90 minutes to plan, build, test, and submit to the site for mentor feedback. A mentor will respond within 3-5 days, and then you can start the redesign process! The redesign process can go on for as long as you can make improvements to the design--and the same mentor will be ready to offer feedback on every change you make.Mentors are professional scientists and engineers from all over the world who are dedicated to inspiring the next generation of inventors. 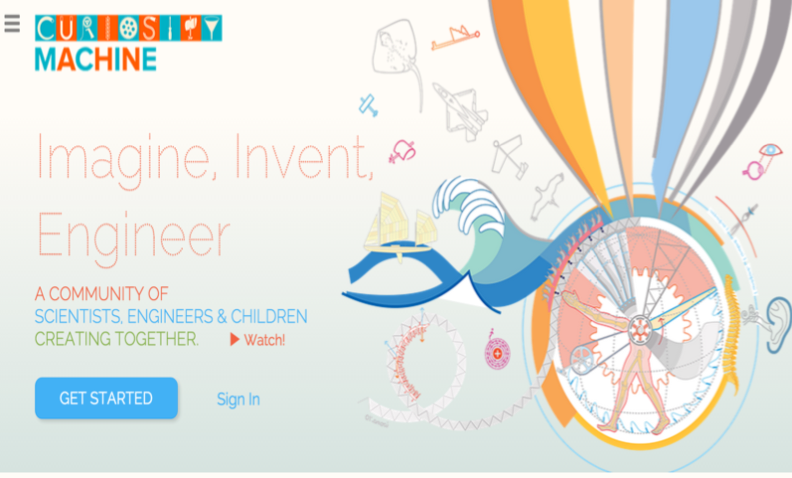 Anyone can create a Curiosity Machine account and access its videos and engineering design challenges for free. For schools and other groups interested in support and training, the site offers a paid membership. Watch the video below to learn more about Curiosity Machine.